As part of our Life Skills priority, Allenton Big Local funds family support for parents living in the Allenton Big Local area. The support programmes are delivered by Nacro and aim to enhance and improve family relationships, encourage parents and children to spend time together and take part in activities that positively influence their relationships and have a long term benefit. The parenting support service provided by Nacro assists families in their homes and through telephone contact. They are taught and encouraged to use techniques and exercises to manage behaviour, strengthen relationships, prevent family rifts and keep children safe. Parents receive weekly visits for up to three months, although support can be offered for longer periods in complex cases. The support programme has helped many parents to understand and improve their children’s behaviours. Sometimes there is more than one child involved; sometimes the children are younger, sometimes they are teenagers. Both parents may be living at home, or it might be that a single mum or dad is responsible for the upbringing of the child or children. Support is offered confidentially in a way that encourages positive outcomes and equips parents with the skills needed to cope with challenging behaviour and understand why their children are behaving as they are. Many of the cases are complex and involve referrals from other agencies. Parents are asked to consider whether the behaviour of their child is typical of their age group. By using scenarios and role play, the parents are asked to share and discuss examples of behaviours that they find difficult to deal with. The support worker will then offer advice to parents on how to stay calm, think things through, not over react and, ultimately, they are shown how to deal with a particular behaviour or situation. Parents are reminded of the skills they already possess and during the 12 week programme their confidence and self-esteem are built up further as they develop an understanding and empathy in relation to their child’s behaviour. 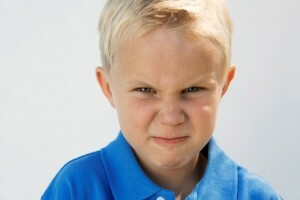 They are given techniques to deal with any number of situations – such as when their children are defiant, answer back, throw toys, have a tantrum or fight. House rules are drawn up and support is offered on how to make the rules work effectively. Parents are encouraged to be consistent and, where appropriate, to praise and reward positive behaviour. The programme is designed to improve family relationships and aims to provide parents with increased confidence and the ability to deal with different aspects of parenting. By the end of the 12 weeks they have learned practical solutions to challenging behaviours and know how to implement age appropriate routines, rules, explanations and consequences. The feedback from the parents and children who have received support from Nacro shows the positive impact the programme has had on their family lives.